BRASILIA, Nov 21 2017 (IPS) – Two white elephants – a huge football stadium that draws almost no fans and an empty 16-building complex that was to be the new headquarters of the district government – reflect Brasília’s challenges as a metropolis, beyond its role as the capital of Brazil. 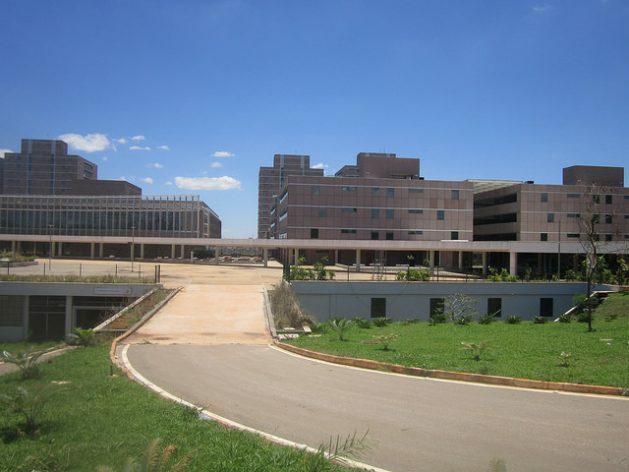 The Administrative Centre, where the 15,000 officials of the Federal District (DF), and from foundations and public companies, were to be based, was built in Taguatinga, one of the largest cities surrounding the “Pilot Plan”, another name for the planned city of Brasília, which was inaugurated in 1960, after it was carved out of the jungle. 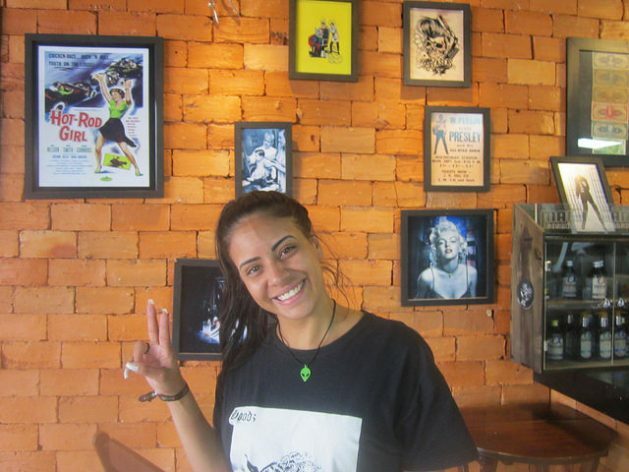 “It would be good to have the government here, able to get a closer look at the areas where most of the population lives, generating more jobs and benefits for us,” Laura Morais, a young assistant at a hairdressing salon in the centre of Samambaia, a city next to Taguatinga, told IPS. Inaugurated on Dec. 31, 2014 illegally, according to the public prosecutor’s office of the Federal District, the centre was left unused, pending the outcome of a judicial tangle yet to be unraveled. If the idea were to materialise, “it would turn Taguatinga into a hellhole with even worse traffic jams, but it would boost the growth of Samambaia, which has a lot of free space and few businesses,” explained Paulo Pereira, the owner of an optical shop. “It would also help to decongest Brasília. That is, it would be better for some, worse for others,” he told IPS before complaining about the corruption that has bogged down the project. Former DF governor Agnelo Queiroz was accused of receiving in 2014 a bribe of 2.5 million Brazilian reais (over 760,000 dollars at present), shared with his deputy governor Tadeu Fellipelli, to promote the construction of the Administrative Centre. The accusation came from executives of the Brazilian construction company Odebrecht, which partnered with another construction firm, Via Engineering, to build the complex, in a Public-Private Partnership by which the companies would complete the work and would be subsequently remunerated with monthly fees for 22 years. Odebrecht, Brazil’s largest construction company, which is active in dozens of countries, reached a plea deal with the justice system to cooperate in the corruption scandal that since 2014 has led to the imprisonment of dozens of businesspersons and politicians who offered or received bribes for public contracts, especially oil companies. Queiroz and his predecessor, José Arruda, are in prison for another corruption case, the overbilling of the works on the Mané Garrincha stadium, which was expanded to host several of the matches for the 2014 World Cup, which took place in Brazil. With an initial budget of 210 million dollars, its cost more than doubled, requiring an additional 270 million dollars, according to investigations by the Federal Police. Corruption has been proven in the construction of many of the 12 stadiums used in the FIFA (International Federation of Associated Football) World Cup, but the one in Brasilia was the most expensive. Its capacity was raised to 72,788 spectators – ridiculous in a city without a strong football tradition or clubs to justify such an investment. The average attendance at local matches does not reach 2,000 fans, the local football association acknowledges. Maintaining this gigantic stadium costs more money to the public treasury and generates permanent losses for indefinite time. The solution would be to turn the stadium into a cultural-sports complex, with “a museum, a library, movie theaters and conference rooms, as well as a shopping center, all related to sports,” suggested José Cruz, a veteran local journalist, with decades covering sports. “It is not something new, but would just copy what has already been done successfully in Europe,” and in Brasilia there are great sports heroes, such as runner Joaquim Cruz and the ex-Formula 1 driver Nelson Piquet, who would attract public, he told IPS. But to do this it would be necessary to outsource or grant the contract to the private sector, because “the State has no structure to manage this type of initiative,” said the journalist. For the Administrative Centre, the way out would also be seeking another use for the group of buildings between four and 15 storeys high, in an area of 178,000 square metres, in the middle of the most populous satellite cities, such as Ceilândia, Samambaia, Taguatinga and Aguas Claras, which have a combined population of 1.08 million inhabitants, according to the Federal District Planning Company (Codeplan). A U.S. university, which intends to open a campus in Brazil, expressed interest in the facilities. But the judicial situation prevents short-term solutions. Odebrecht claims to have invested more than 300 million dollars in the complex and aims to recover the investment through international arbitration. For the current government of the DF, headed by socialist Rodrigo Rollemberg, it is not viable to change its headquarters at a cost of millions of dollars per month, at a time of economic crisis and fiscal limitations. One option is to cancel the 2009 contract, in light of the illegalities that plagued the project. In addition to the allegations of corruption, the previous government of Queiroz inaugurated the Administrative Centre on the last day of its term, based on a permit that the courts threw out as fraudulent. Queiroz and the Taguatinga local authorities responsible for the permit and named one day before it was issued, were heavily fined and banned from politics as a result of the fraud. The scandal overshadows the problems of urban development that the Federal District faces, formed by the Pilot Plan or Brasilia, seat of the national and district government, and its satellite urban municipalities, officially called Administrative Regions. 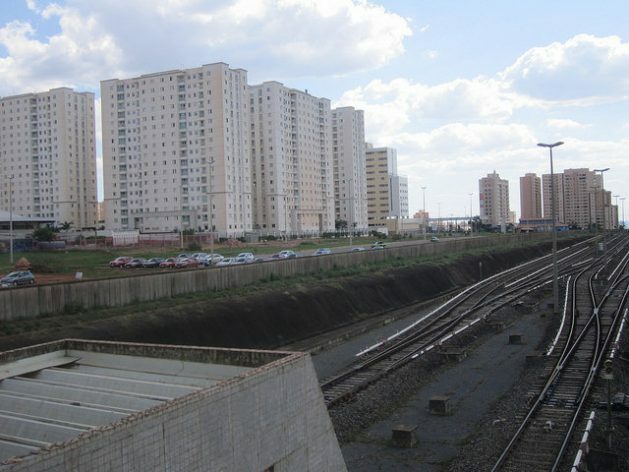 The population of the Federal District stands at 3.04 million, according to Codeplan’s District Survey of Households, six times the number of inhabitants predicted when Brasilia was built six decades ago. The Pilot Plan currently is home to just over 220,000 people, but offers the most and best jobs, attracting a massive influx of commuters from surrounding municipalities every morning. Ceilandia, the largest city in the area, had a population of 459,000 inhabitants in 2015, having grown 13.6 percent in four years. In the city, 28.1 percent of the active population has a job within the Pilot Plan, while 37.3 works in the municipality itself. Other neighboring cities have somewhat higher rates of inhabitants employed in the heart of the capital, making up the crowds of commuters that move daily to the Pilot Plan and return at night to their dormitory cities. 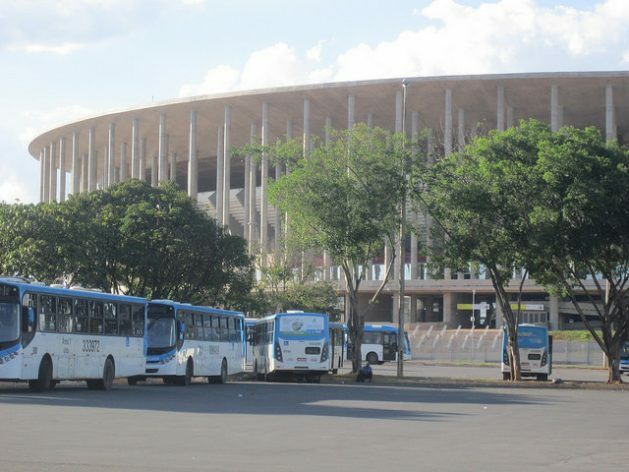 The thousands of buses that carry the commuters every day are parked from morning to afternoon in open spaces, such as the square in front of the Mané Garrincha Stadium, until the workers finish their shifts and return to the surrounding municipalities. A subway, with a single 39-km line that branches off into the different municipalities, is the major mass transport project, but only mobilises about 3.5 million passengers a month, with the trains sitting idle outside rush hour. Bringing jobs to the periphery would not be a bad idea, but transferring and centralising all the local administration to the outskirts may respond more to personal appetites than to the call for better public management, as other examples show, such as Belo Horizonte, capital of the southern state of Minas Gerais. *Mario Osava‘s report was published in IPS. Go to Original.